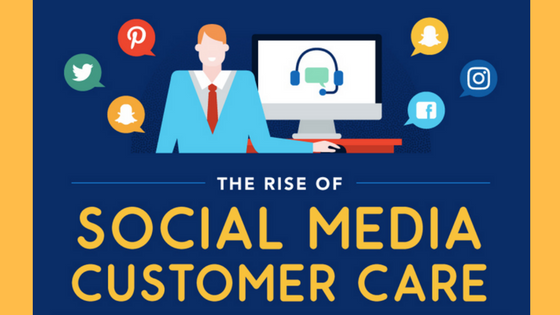 Social media customer care (SMCC) is, to put it simply, the use of social media to provide customer care. In effect, it is the use of social media platforms for brands to offer information and answer sales queries, while also addressing any complaints or product/service issues their customers might have. According to facts and statistics from Website builders, over one-third of people prefer social media to all other forms of communication with a brand. That’s 34.5% of consumers preferring social media, as opposed to 24.7% who prefer live web chat, 19.4% who prefer email and only 16.1% who prefer the conventional call centers and toll-free phone systems of the past. For those looking to better reach and serve their clients, these platforms are among some of the best for your social media customer care needs. 79% of adult Internet users use Facebook, and the average brand receives 29 messages per 1000 fans per month on the social media platform. Nike, Sony, and Air Asia are some of the biggest brands on Facebook, and the relative number of queries on Facebook is 40.7%, while the relative response rate on Facebook is 59.4%. Facebook is one of the best ways to communicate with your customers, as Facebook is simply the largest social media platform with the highest rates of engagement online. 80% of social customer service requests come from Twitter, and brands receive an average of 60 messages per 1000 followers on Twitter per month. Xbox, Amazon, and Tesco are some of Twitter’s most famous brands, and Twitter has a relative number of queries at 59.3% with a relative response rate of 40.6%. Brands on Instagram get 58 times more followers than on Facebook on average and 120 times more followers than on Twitter. Instagram is great for sharing product and service media, and top brands include Vega, Starbucks, and Sephora. Top brands on average receive 216 comments per post on the social media platform, representing some of the highest engagement rates on social media. The number of live videos and snaps on how a product or service works has increased by 400% on SnapChat since 2015. With more than 85% of Americans between 13 and 34 years of age using SnapChat, it is a great tool especially for companies looking to connect with a younger demographic of consumers. With social media making the world far smaller and the marketplace accessible by nearly everyone, SMCC should now be the main form of communication for your brand and customers. If it is not, these 4 platforms, Facebook, Twitter, Instagram, and SnapChat are a good place to start and you should be using them for your customer care campaigns. For those looking for more information on the Rise of SMCC, check out this great set of statistics and facts from website builders to further educate you to the fastest growing customer care channel in the digital and global marketplace.